My 1972 Chevrolet El Camino By Mike Kehl. The Chevrolet El Camino was produced between 1959 to 1960, then 1964 to 1987. The pickup was made as a competitor to the Ford Ranchero, arguably superseding its competitor and has the best of both worlds, being muscle car and pickup truck. Here we have a 1972 model just acquired by Mike Kehl, to be worked on as his latest project. 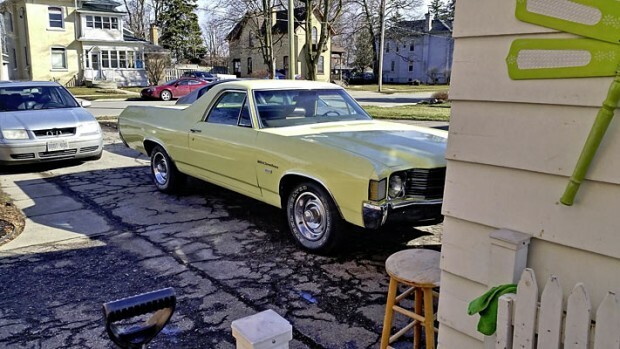 If you are thinking of a great all-rounder classic vehicle, the El Camino is a fantastic start point and you can put all your spare parts in the back! Related ItemsMy 1972 Chevrolet El Camino By Mike Kehl. ← Previous Story Mercury Cougar By Francisco Aguinaga.